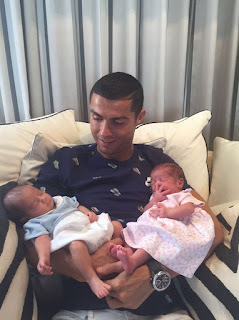 Little Eva and Mateo were born in the US last month, before being taken home to live in Madrid with the football ace. But Portuguese medic Gentil Martins believes his fellow countryman’s actions mean he should be stripped of his role model status. “I consider it a serious crime,” the 87-year-old, who is a pioneer in the separation of Siamese twins, told Portuguese newspaper Expresso. Martins also has strong views when it comes to who he thinks is to blame for the Real Madrid star’s decision making, pointing the finger at his mum, Dolores Aveiro. Ronaldo is also father to son Ronaldo Jr, and has chosen to keep the identity of his mother under wraps. “People speculate I was with this girl or another, or there was a surrogate mother. I have never told anyone and never will,” he told chat show host Jonathan Ross. 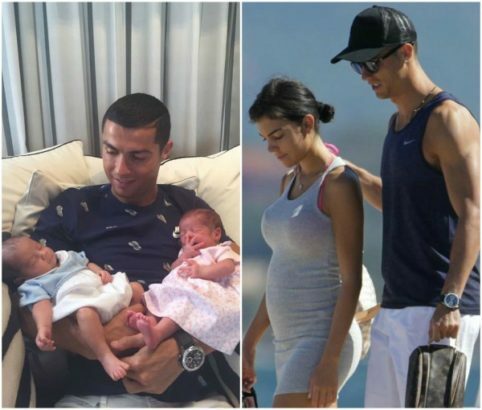 His girlfriend Georgina Rodriguez is also rumoured to be expecting their child, having been pictured with what appears to be a baby bump.